The ground-breaking 60's experimental film that influenced "12 Monkeys". In the wake of WWIII Paris, a team of scientists experiment with time-travel in order to provide hope for their future. The SotW collection tilts heavily towards newer works rather than exhuming and appreciating older classics. Part of it is in our founding mission—to shine a light on compelling works that don’t receive the attention they deserve. No one can accuse Chris Marker’s classic La Jetée, of failing to receive ample exposure however. It is one of the most famous short films in history, a staple of film education curricula and recipient of a very lovely Criterion Collection release. Furthermore, its influence within sci-fi filmmaking has echoed through the decades, directly influencing prominent filmmakers like Terry Gilliam and James Cameron. As such influence would hint at, it is a remarkable film, and sadly, as it often happens, it has taken the death of its creator to force a well-deserved revisit on the internet this morning. The announcement just went out, but Chris Marker, experimental filmmaker par excellence, has died at the age of 91. 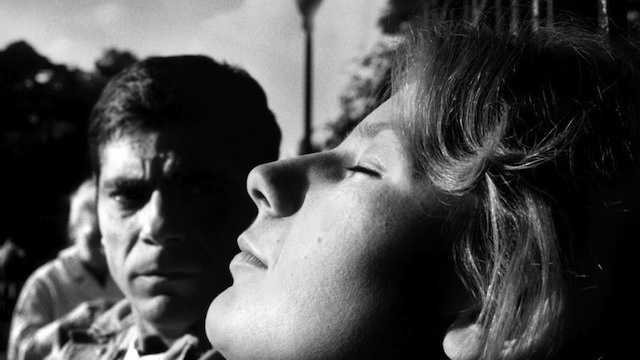 La Jetée is Marker’s most famous film, but according to the credits it was not a film at all. The filmmaker termed it an “un photo roman” or photo novel, referring to it’s unusual construction. Comprised almost entirely of still images, the film highlights the process of filmic editing through the stark precision of its images. The time-traveling tale allows for great play in elision and filmic time, which is probably why scholars are so crazy for it. But, ultimately its enduring appeal has a lot to do with the fact that it is truly enjoyable entertainment. Its famous infinite loop storytelling is still marvelous despite numerous copycats (particularly in short film I would add), and the contrast of future dystopia with 1962 Paris is great movie-time fun. At 26 minutes, it is a long film, but don’t let this or its pedigree disway you from enjoying this celebrated classic.